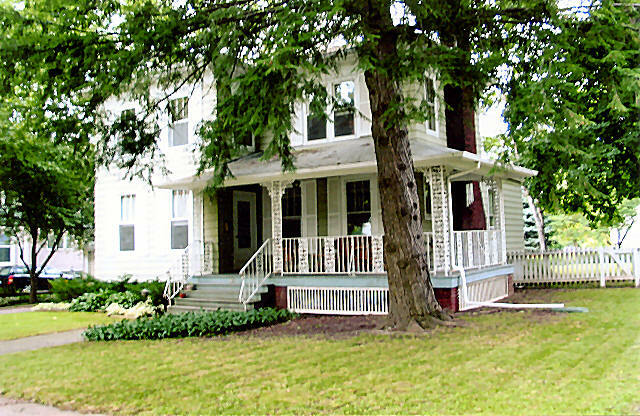 Oct. 21, Saturday, 11 a.m.
734 N. McLean St., Lincoln, Ill.
Home and corner lot will sell day of auction. OPEN HOUSE Oct. 14, 11 a.m.-1 p.m.
Tools, pink Depression, hobnail, household items, collectibles, too many items to list. Check www.johncraigauction.com for complete listing. Get the Hottest Christmas Item for 2006!!! $650. 110cc ATVs, remote starts and stops, alarm, four-stroke, electric start, headlights, brake, several colors. Barbed Wire ATV, www.4wheelerforkids.com, Elkhart, Ill., 815-985-9151. Also check under Misc. for Sale. The Logan County Health Department is accepting applications for an immediate opening in the financial division. The duties may include R/AP/GL, payroll, budgets and spreadsheet applications. Proficiency in MS Word, Excel and accounting software is essential. The ideal candidate will have an associate degree in business or accounting with two years' experience in accounting, or a bachelor's degree in business or accounting with one year experience in accounting. The candidate must also have supervisory experience and must be able to communicate effectively both orally and in writing. Benefits include paid vacation, sick time and 13 holidays. Candidates must be dependable, enthusiastic and have a valid driver's license and reliable transportation. If interested, complete an application at the Logan County Health Department, 109 Third St., Lincoln, IL 62656. For more information, contact the Logan County Health Department at 217-735-2317. You may fax or e-mail your resume and cover letter to 217-732-6943 or lchd@logancountyhealth.org. Hawthorne Inn of Clinton is accepting applications for second and third shift CNAs for our skilled unit or Alzheimer's unit. We offer a great benefit package and above-average wages. Applicants should apply in person to #1 Park Lane West, Clinton. Ad sales person wanted: Part-time opening for outgoing personality to help local businesses gain exposure and sell their wares. Must be organized, ambitious and enjoy working with people. Please send a resume with references: ldneditor@lincolndailynews.com. Auto keys found in CCA parking lot. Call 217-737-5965. FREE... Hotpoint gas range. White with black front. Works and looks good. 737-7304. Kenmore electric dryer, avocado green, works good; Whirlpool electric clean-top stove, almond; Whirlpool refrigerator, 18 cu. ft., almond. Call 732-9327 after 5 p.m. or anytime on weekends. For sale: Three multi-line office telephones: one cordless Casio PhoneMate two-line phone with built-in answering machine, two GE three-line corded phones, all with hold, indicators and conference. Excellent condition. $200 for all three. Call 217-737-5965. Free to good home: Cats and kittens and rabbits. 735-3883. Free to good home: Five kittens, 6 weeks old: two striped, two gray/white, one gray with black nose, ears and paws. One gray 1-year-old male cat. All are playful and absolutely adorable! Contact via e-mail: acoombs@cityblm.org. For sale: Beautiful historic home at 518 College Ave.; 4 BRs, 2 baths, CA, gas FP, basement, deck, 2-car detached garage with workshop. Mature trees on a big double lot. 732-4834. -If your ad is accepted, it will be posted on the day you request, if possible. Be sure to complete all fields which are marked with an asterisk. Add an Internet-ready picture to any ad for $2 additional. Send your picture to ldn@lincolndailynews.com as an attachment.